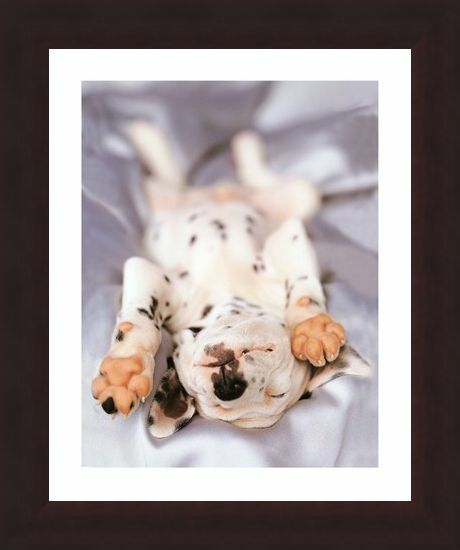 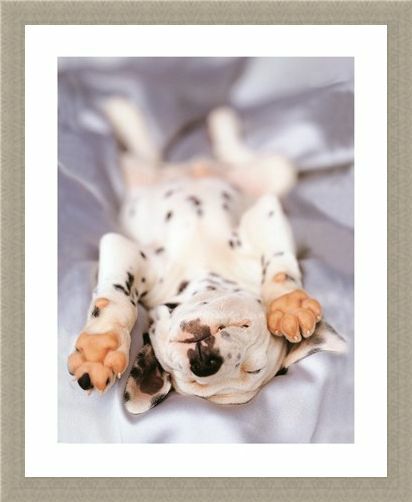 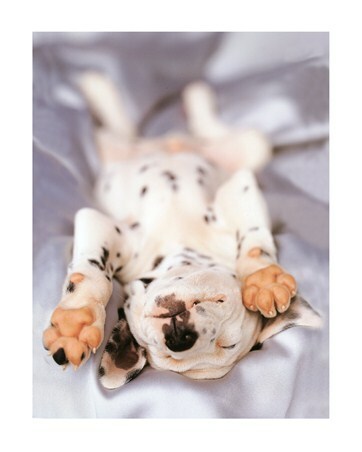 Photography Print: Introducing Monty, the loveable Dalmatian puppy; star of this charming photography print by renowned animal photographer Rachael Hale. 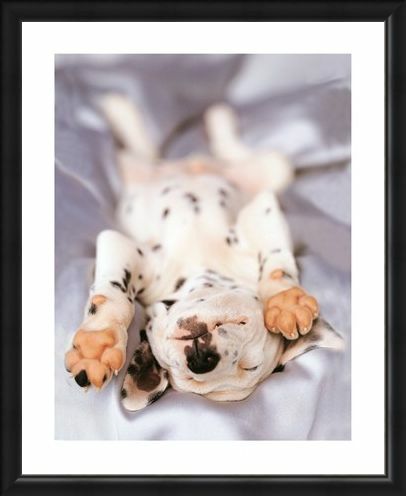 Enjoying a well deserved rest, the little pup stretches out his legs and drifts off into a dreamland filled with toys, walkies and lots of cuddles! Monty's beautiful white coat, which is scattered with tiny black spots, his floppy ears and perfectly pink paws are the main focus of this cute print which will warm the heart of anyone who sets eyes on it. 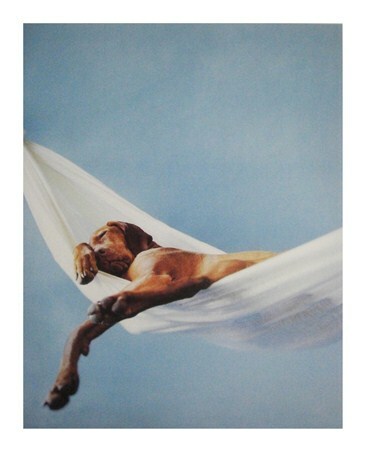 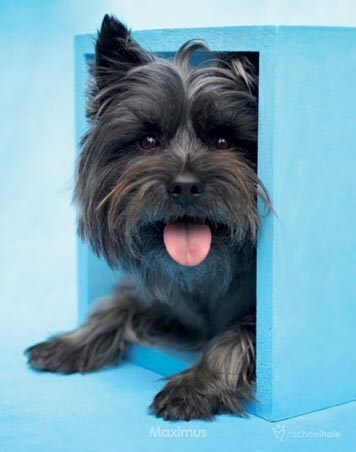 So, why not invite Monty into your home and enjoy a little dog-nap with him as he gets comfy on a pure white sheet; this really is a pedigree print which will fill your living space with simply gorgeous animal imagery. 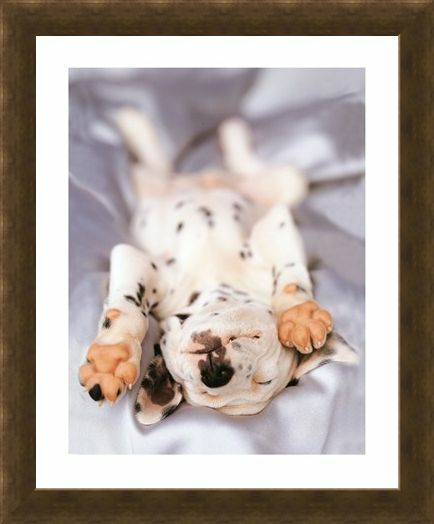 High quality, framed Monty, Rachael Hale print with a bespoke frame by our custom framing service.